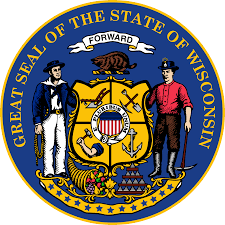 The Wisconsin Department of Transportation has not been taking into account inflation when projecting the costs of major road projects, according to the Legislative Audit Bureau (LAB). In a report released on January 26, the LAB found state spent over $772 million more than originally estimated on 19 major projects between 2006 and 2015. Additionally, the report said 16 current highway projects, which were estimated to cost of total of $2.7 billion will now cost $5.8 billion. The report indicates DOT has been mis-estimating the real cost of highway projects, which has caused a budget shortfall for sufficient funding. The audit also found the proportion of state highways in good condition decreased from 53.5% in 2010 to 41% in 2015. The proportion of highways in good condition is “considerably lower” than six other Midwest states. The report has caused serious concern among legislators, who are looking to use the findings to fix the transportation budget. “It’s clear Wisconsin is trying to do too much with too little and taxpayers are not getting their money’s worth,” said Republican State Assembly Speaker Robin Vos (R-Rochester). His Assembly Republican caucus is looking to offset an increase in transportation revenue with $300 million in tax relief. The report will likely be a source of much discussion and debate as legislators and Governor Walker craft the state budget in the coming months. Despite the report, Governor Walker remains consistent on his stance on raising revenue. “The bottom line is we shouldn’t even be thinking about raising the gas tax or fees until we find every savings at the DOT, and the audit shows we can find more savings,” said a Walker spokesman. It remains to be seen to what extent the report will inform the governor’s budget plans. All eyes will be on the Walker’s budget address on February 8.